The following letter was sent to the municipal Council of Mississippi Mills regarding the proposed implementation of a Natural Heritage System in their official plan. In it I provide some brief clarification as to the extent such a system is imposed by the province, and outline some of the policy decisions left to the municipality. First and foremost, it is important to remind municipal policy makers that the purpose of PPS is to establish guidelines for development and the promotion of development. While the document covers a wide range of topics, development remains of central importance to the policies contained within it, and although environmental protection is one aspect of the PPS, it in no way infers an obligation to develop policy with an “environment first” focus above other considerations. Any decision to adopt such a focus would be a municipal decision and not a provincial obligation. Furthermore, the 2014 PPS requires that a NHS only has to be identified in ecoregions E6 and E7 of the province. The municipality sits on the border of ecoregion E5 and E6, which runs between the southeast to the northwest of the jurisdiction. 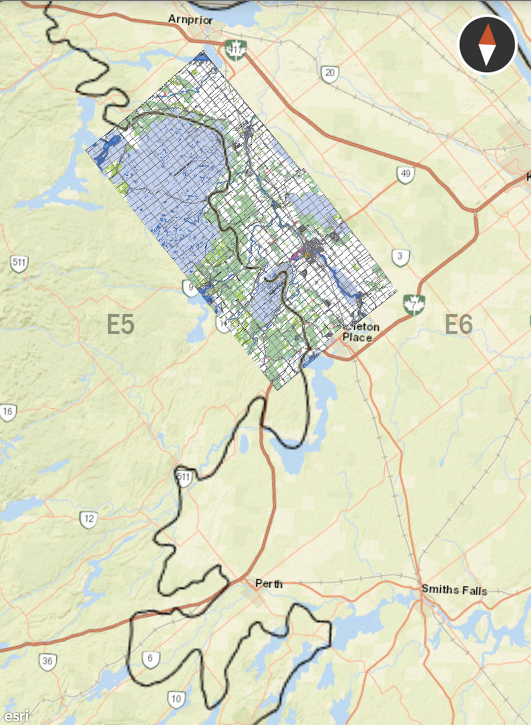 A large portion of the property designated in the official plan as a NHS is not required to be designated as such under the PPS as it falls within the boundaries of ecoregion E5, and as such many of the policies put forward in the municipal plan are not provincially mandated for that area. I believe it is important to take these map boundaries and land classifications in to consideration when understanding what obligations actually exist for the municipality as a whole. I have attached a basic overlay of the ecoregion boundaries on top of your NHS proposal map to this letter for clarification. While the PPS requires that an NHS must be identified in the section of the municipality within ecoregion E6, and development or site alteration in that NHS area cannot take place without an environmental assessment  indicating there is no negative impact on the core ecological function of the site, there is no obligation in the PPS that sets out limits on specific types of development or site use. Any establishment of specific “permitted uses” within a municipal plan is done at the municipality’s discretion and is not presented as a specific obligation by the province. Similar discretion is also provided for the identification of “adjacent lands” in relation to the NHS. Nowhere in the PPS does the government impose specific metrics regarding what constitutes adjacent lands, and any identification of specific measurements or criteria is the decision of the municipality alone. In addition, any EIS requirement in relation to the NHS on property that is not within the NHS or classified as “adjacent land” is a policy implemented by the municipality, and is outside the obligations required by the province. I hope these points of clarification will be valuable in the development and communication of your municipal development plans. While I have not touched on every potential detail of an NHS plan, it is important to recognize that there is substantial leeway and discretion for municipalities to determine specific details of the plan that are not otherwise mandated by the province. This is particularly relevant in the situation of Mississippi mills, where a large portion of the municipality is exempt from any and all NHS obligations. If you have any further questions or need any further clarifications please feel free to reach out to my office. I would be pleased to provide council with a presentation and discussion on PPS requirements should you believe it would be beneficial. There is no provincial mandate regarding the exact metrics for establish criteria for adjacent lands. The proposed 120 meters setback can be implemented but there is no requirement for that specific distance. The schedule of defined permitted uses does not exempt these uses or developments from costly environmental assessments. Any development not identified in the schedule of permitted uses would be prohibited even when an environmental assessment indicates no detrimental effect or harm to the environment would be experienced. There is no requirement to include a schedule of permitted uses. “Environment First” approach is not required; can be removed, or altered such as “Balancing the need for development and growth with maintaining the environment” as an example. The present proposal permits and does not infringe upon most personal activities such as farming, forestry recreational uses etc. However, there are no guarantees that subsequent revisions or amendments to the PPS may impose greater restrictions on activities within lands designated as NHS. The present proposal identifies a substantial amount of land in the western half of the municipality (eco region 5E) as NHS designated lands. There is no statutory obligation or responsibility to do so.